The Jewelry Industry Summit, the open forum on sustainability and responsible sourcing, which took place at the Fashion Institute of Technology in New York City from March 11-13, 2016, concluded with a list of projects that various attendees committed to continue beyond the Summit. Ongoing projects will include coordination of initiatives, consumer research, education of sales associates, and new media communications. Among the projects is a Standards and Harmonization committee, which will align and coordinate various existing standards, and ensure that all companies – both small and large – have access to them. The aim? To ensure that new initiatives don't "reinvent the wheel" and repeat work that's already been accomplished in identifying the industry's supply chain issues and how to address them. Other projects included committees that will tackle how to educate and convey responsible sourcing information to the jewelry industry's sales associates, create research on consumer attitudes about responsible sourcing and sustainability in the jewelry supply chain, and communicate, via new media, the accomplishments of industry in these fields. 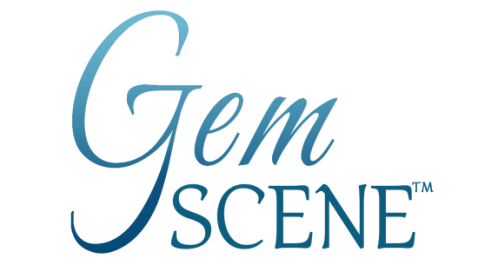 Several groups at the Summit committed to advancing specific issues within the supply chain, including helping gem cutters in developing countries who need education and equipment to avoid silicosis, a disease that occurs from inhaling stone dust. Another specific initiative was to initiative an artisanal colored gem mining site project in Brazil that adheres to responsible social, ethical, and environmental practices. Attendees at the Jewelry Industry Summit included both larger and smaller companies that have already made significant commitments to responsible sourcing and sustainability. But many attendees came ready to learn more about these issues, including companies ranging from miners, cutters, and manufacturers to wholesalers, designers and retailers. Representatives from the U.S. Department of State, banks, accountants, insurers, consultancies, associations, media, and non-governmental organizations (NGOs) also attended. Speakers, who discussed existing responsible sourcing initiatives within and outside the jewelry industry, included (in alphabetical order): Anna Bario, co-owner, Bario-Neal; Andrew Bone, executive director, Responsible Jewellery Council; David Bouffard, vice president of corporate affairs, Signet Jewelers; Eric Braunwart, owner, Columbia Gem House, Lynsey Cesca Jones, director for responsible sourcing, VF Corp.; Eduardo Escobedo, executive director, Responsible Ecosystems Sourcing Platform; Dorothée Gizenga, executive director, Diamond Development Initiative (DDI) ; Stewart Grice, director of mill and refining, Hoover & Strong; Maria Gorsuch-Kennedy, principle program manager, supply chain sustainability, EMC Corp.; Erik Jens, global head, diamond & jewellery clients, ABN AMRO; Jamie McGlinchey, design and development manager, Melissa Joy Manning; Marcelo Ribeiro, director, Belmont Emeralds; and Margo Sfeir, marketing director, ELEVATE. The Jewelry Industry Summit's poster sessions for the three-day event, include contributions from the following organizations and companies (in alphabetical order): Alliance for Responsible Mining (ARM), Columbia Gem House, the Diamond Development Initiative (DDI), the Diamond Empowerment Fund (DEF), ELEVATE, Ethical Metalsmiths, Martello Risk, The Organisation of Economic Co-operation and Development (OECD), Responsible Jewellery Council, Signet Jewelers, Source Intelligence, True North Gems, Underwriters Laboratories, United States Council for International Business, and the United States Wildlife Trafficking Alliance. The Summit was coordinated by representatives from companies in every sector of the international trade, also representing all products. The planning committee includes (in alphabetical order): Ann Arnold, BIG – Buyers Intelligence Group; Lita Asscher, Royal Asscher; Anna Bario, Bario Neal; Robert Bentley, Robert Bentley Company; Mihir Bhansali, Firestar Diamond Inc.; Edward Boehm, Rare Source; David Bouffard, Signet Jewelers Ltd.; Eric Braunwart, Columbia Gem House, Inc.; Lisa Bridge, Ben Bridge Jeweler; Bruce Bridges, Bridges Tsavorite; Brandee Dallow, Rio Tinto Diamonds; Peggy Jo Donahue, Donahue Communications; Jeffrey Fischer, Fischer Diamonds, Inc.; Rebecca Foerster, Leo Schachter Diamonds, LLC; Karen Goracke, Borsheim’s; Stewart Grice, Hoover and Strong; Mark Hanna, Richline; Hayley Henning, True North Gems; Steve Hodgkins, Rolex USA; Christina Miller, Ethical Metalsmiths; and Barbara Wheat, Natural Color Diamond Association. Administration of the Summit was coordinated by Suzan Flamm, Cecilia Gardner, and Sara Yood, Jewelers Vigilance Committee. Summit design and facilitation was by Cheri Torres and Mike Feinson, Innovation Partners International. Sponsors for the Jewelry Industry Summit included presenting sponsor: Signet Jewelers; notebook sponsor: World Gold Council; cocktail sponsor: Gibgot Willenbacher; luncheon sponsors: ABN AMRO and Rough Diamond Traders; coffee sponsors: CIBJO, Friedman LLP, Gemological Institute of America, and The Plumb Club. Other sponsors include AIGS Lab Bangkok, Hoover & Strong, and JA New York. Media partners include: IDEX, JCK, Rapaport, Smart Work Media/InStore, and The New Jeweller. A list of other contributors, who made donations via the Jewelry Industry Summit's Indigogo campaign, can be found at the Donor page of jewelryindustrysummit.com. Jewelry industry members who did not attend the Jewelry Industry Summit can follow all updates on projects moving forward, via the Summit's Facebook page, https://www.facebook.com/jewelryindustrysummit. The Summit's new steering committee is also planning additional meetings in the future. Interested parties wishing to get involved in the Summit's ongoing activities can also indicate their interest there by emailing barbarawheat(at)gmail.com. An emailed, full written report of the proceedings at the Summit will be sent to attendees. Others wishing to receive a copy of the report can send an email with contact information and email address to Sara Yood at sara(at)jvclegal.org. The Jewelry Industry Summit is an open forum on sustainable and responsible sourcing in the jewelry industry. Our community of individuals from all business sectors in the jewelry industry seeks at the summit to develop a shared vision that addresses the challenges of our supply chain, sustains our businesses, and meets growing consumer demand for responsibly sourced products. Visit www.jewelryindustrysummit.com, or the Summit's Facebook page, https://www.facebook.com/jewelryindustrysummit, for more information.